What to look forward at RWMF2016? 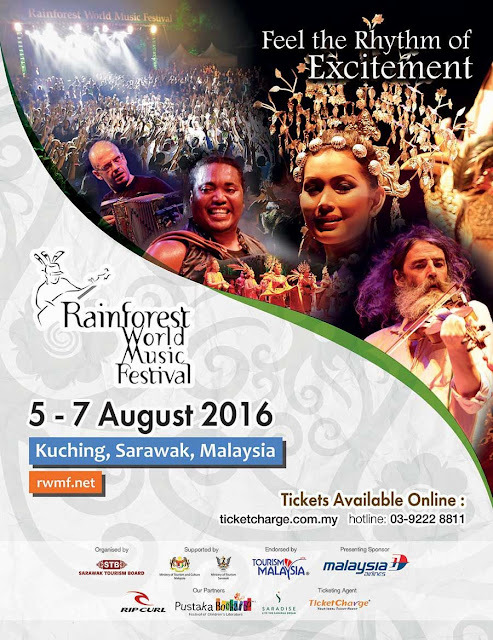 Only a month to go til the 2016 Rainforest World Music Festival! Rainforest World Music Festival,also known as RWMF is a yearly music event that is anticipated by music enthusiast all around the world. 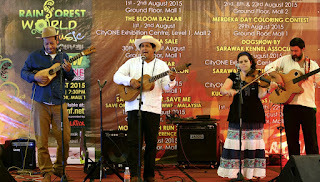 People come from near and far to be a part of this music festival that happens in the heart the Borneo Jungle! It is not like any other music events that we've been to. This one is rich in culture and it showcases the different kinds of influences based on the culture from all around the world. 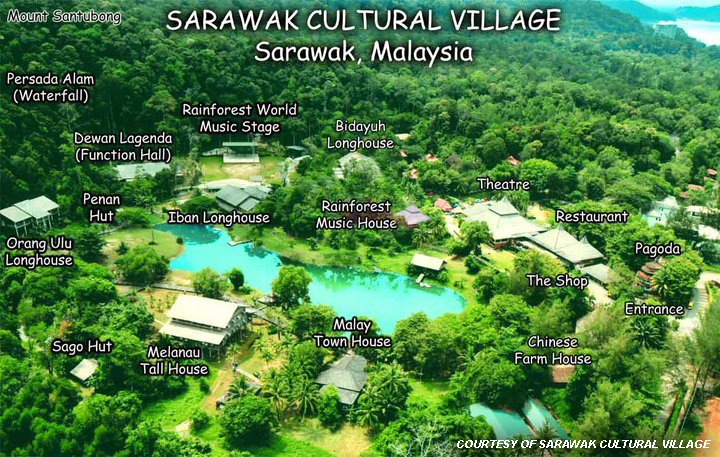 The Sarawak Cultural Village is an award-winning living museum and is nestled at the foot of the legendary Mt. Santubong. 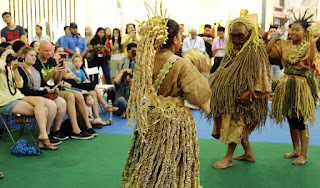 The event will be held at the Sarawak Cultural Village for all three days. 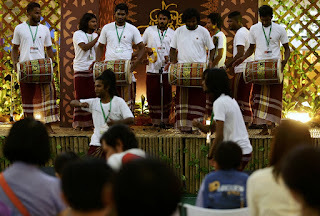 What is unique about this festival is that it promotes different culture from around the world through music. The festival which also includes a variety of food and drink stalls, an arts and crafts section as well as festival memorabilia,souvenirs and merchandise by the performing artists! I believe with cultural festivals like this, you'll not only experience something new but you learn about what cultural diversity is all about and how it actually come together through music. It also allows you to meet new people! RWMF was always on my list of things to do. I remember the first time I heard about this when I was about 16 or 17 when my cousin attended it. At that time , I didn't know what it was and thought that I was too young. I guess when you get older and you actually appreciate music and it's meaning instead of just the surface of its beautiful sounds, you know it is something that should be on your #bucketlist. Over the years, I've seen RWMF and its workshop and concerts, hopefully by the end of it, I'll not only meet new people from across the world but learn a new dance or musical instrument! Who knows, maybe I'll even get a tattoo there! *sorry ma* This year I'll be going with a few friends and I have a feeling know it is gonna be an awesome one! 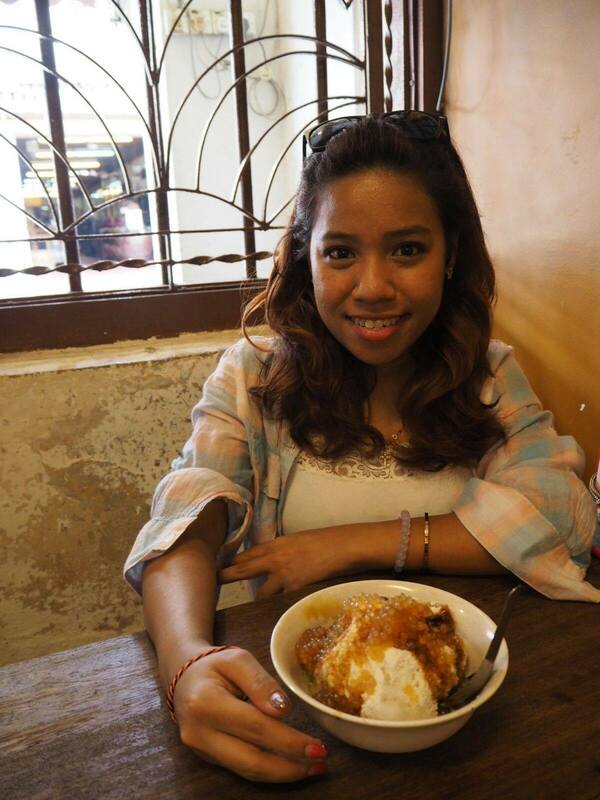 I've never been to Sarawak before so I am really looking forward to all the local food! I'll try my best to do a video and hopefully it'll give u some insights on RWMF 2016 in case you might wanna go next year! In my next post after RWMF, I'll give you the break down of my expenses on accommodation , food and also the random sight seeings and what not. So stay tuned to that! Are any of you going? If you are, do drop me a comment and maybe we will see each other there! P/s- Don't forget to check out their tips before you fly off for RWMF! And if you have any tips for me please share! seem interesting. sadly im not staying at Sarawak. I know! I'm looking forward to this! My friends always ask me to go with them almost every year. I need to try out someday. This look like fun place. You should absolutely go ! i like music event !! So sad i cant go because it's too far for me..
Yeah Same here I'm in KL too! Am a Sarawakian but have never been to this amazing music festival. Thinking of attending one soon but not 2016 as my schedules are packed. Thanks for promoting the event. No problem! It is my first time and im pretty excited! Such a great event! Wish could join in the fun. I's a yearly event! Maybe one day? yay more things to explore in Sarawak! would love to join for the fun and all!! ahhahaha! What kind of tattoo would you get? Looks like a fun festival! Want to visit this place one day! This festival looks happening.. Which tattoo you have got and this festival looks quite a fun. wow...so interesting!! I wish I can visit it too!! WOW the event looks really interesting and fun!! Just it was far from my place~~ Enjoy dear! This event really look interesting!